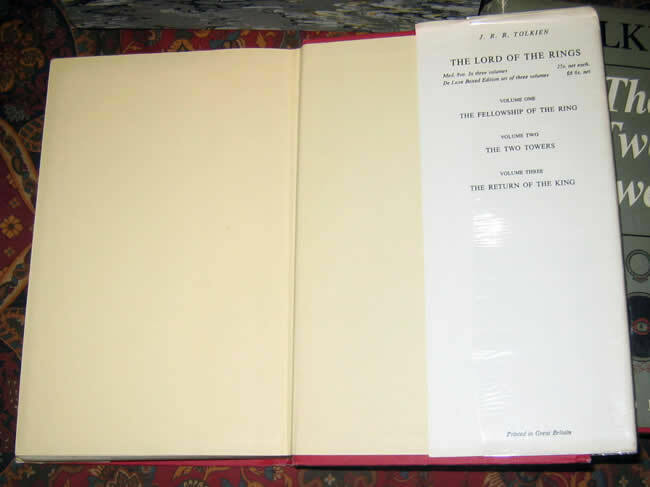 UK 2nd Edition 2nd impression Lord of the Rings, triple signed & dated by J.R.R. 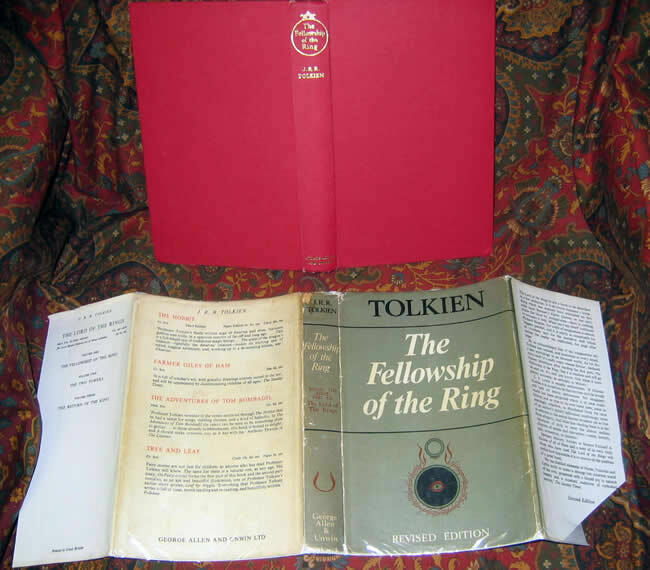 Tolkien - $9,000.00 A splendid triple signed set, the likes of which rarely appear for sale. Most have been seperated, and combined into multiple sets. A rare opportunity for this set of significant and collectable books. 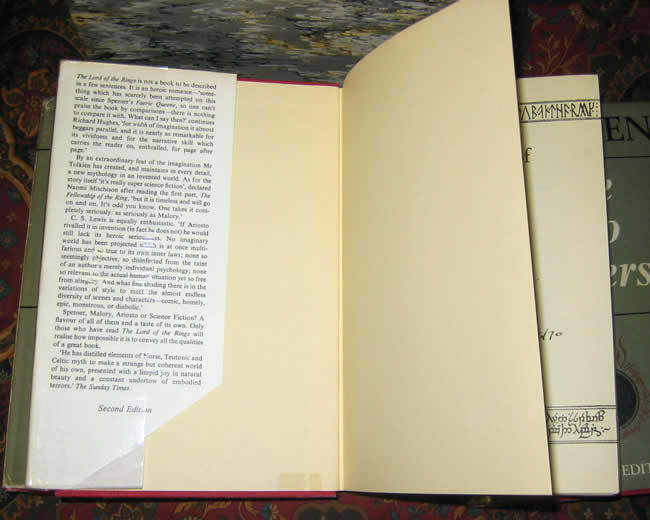 Custom made open ended slipcase included in the price. A splendid triple signed set, the likes of which rarely appear for sale. Most have been seperated, and combined into multiple sets. 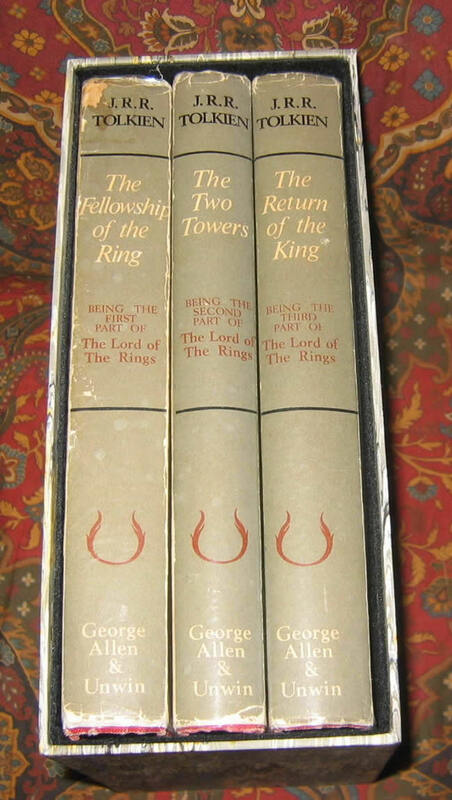 A rare opportunity for this set of significant and collectable books. 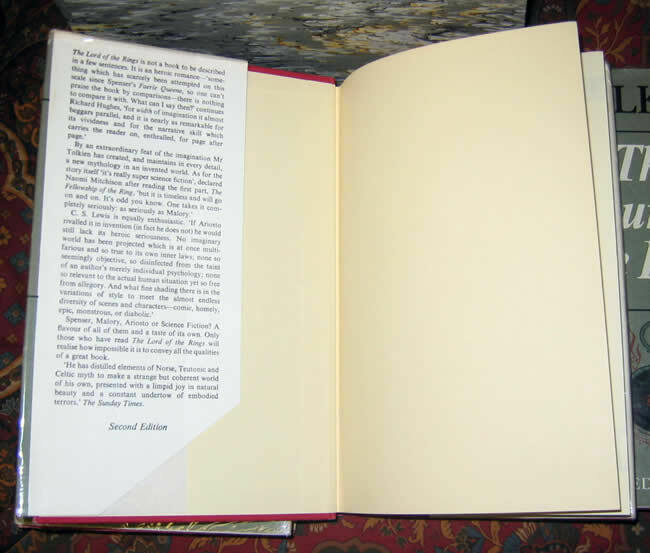 Custom made open ended slipcase included in the price. 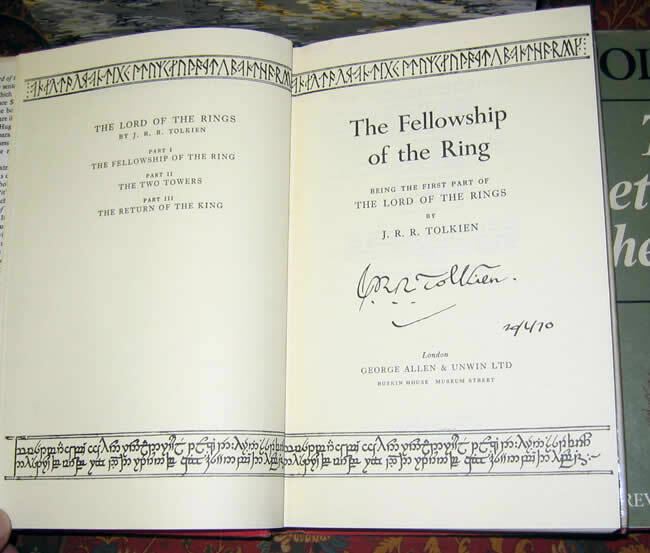 Vol I: The Fellowship of the Ring is a Second impression published in 1967, signed and dated 20/6/70 on the title page by the author. 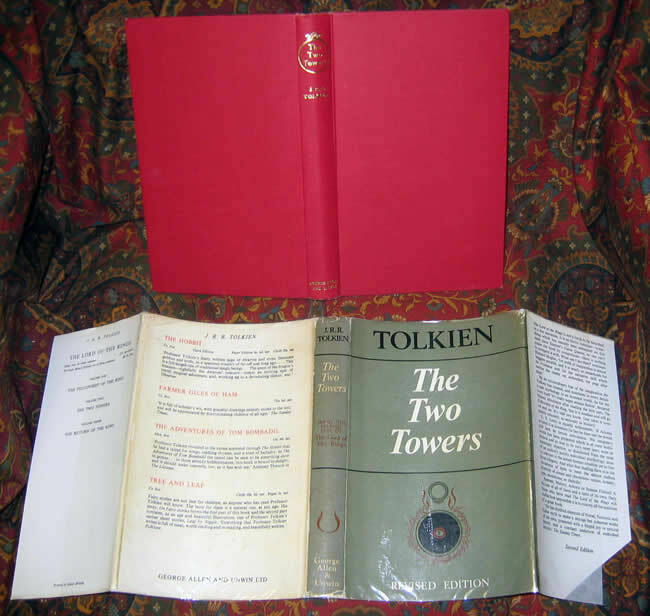 Vol II: The Two Towers is a Second impression published in 1967, and is signed and dated 20/6/70 on the title page by the author. 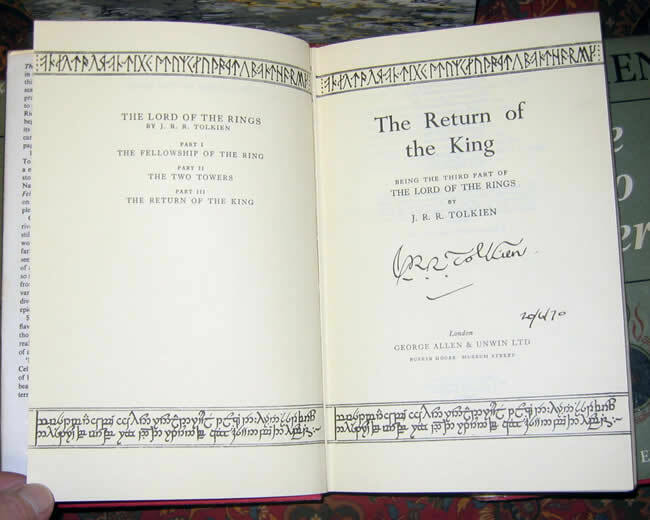 Vol III: The Return of the King is also a Second impression, published in 1967, signed and dated 20/6/70 on the title page. 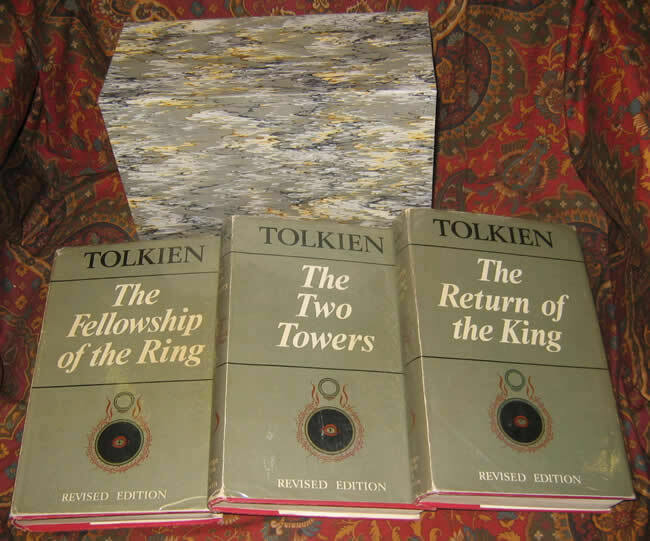 All three volumes are in Very Good Plus/Near Fine condition with the top edge stained red, clean and bright textblock. 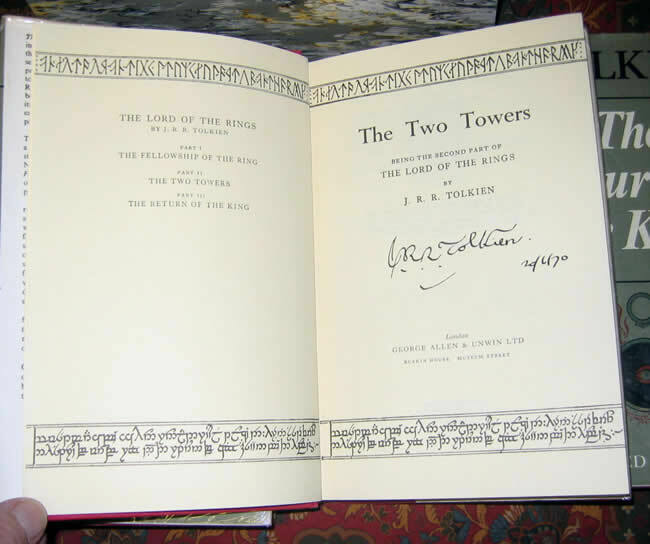 No names or writing, other than Tolkien signature and date. Original maps are in place, no tears or misfolds noted. 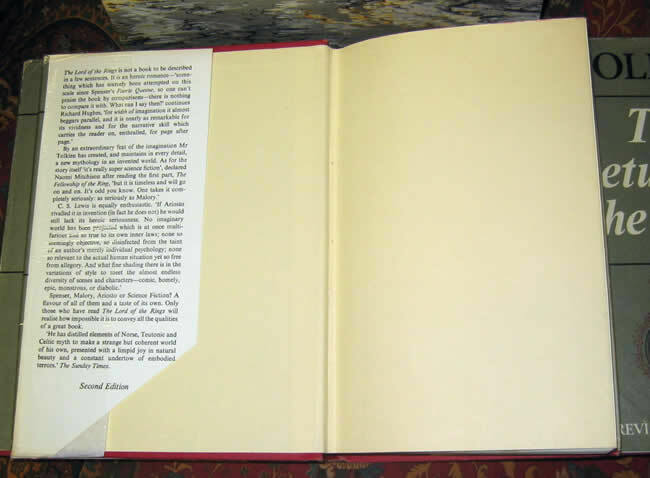 The dustjackets are price clipped and show some rubbing at the folds and the tips of the spines, Very Good condition. 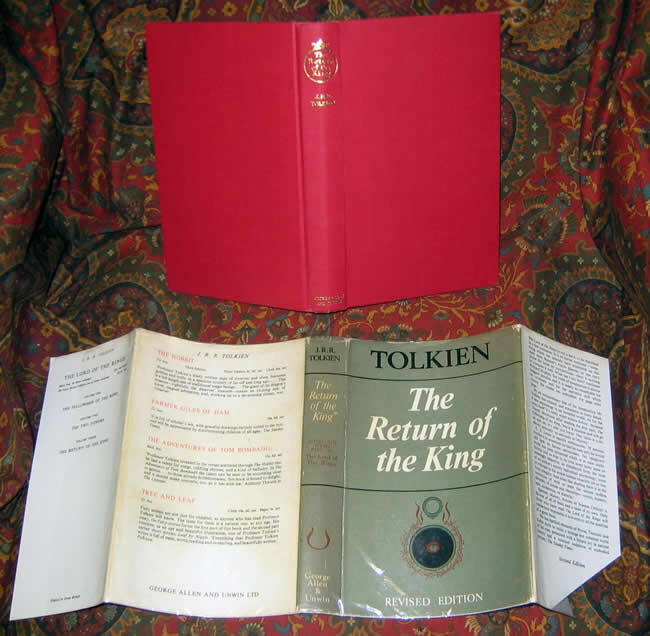 Letters of provenance from the gentlemen about his father who worked in the printing industry, and were able to have Tolkien sign the 3 books as a gift to their newborn son (grandson). 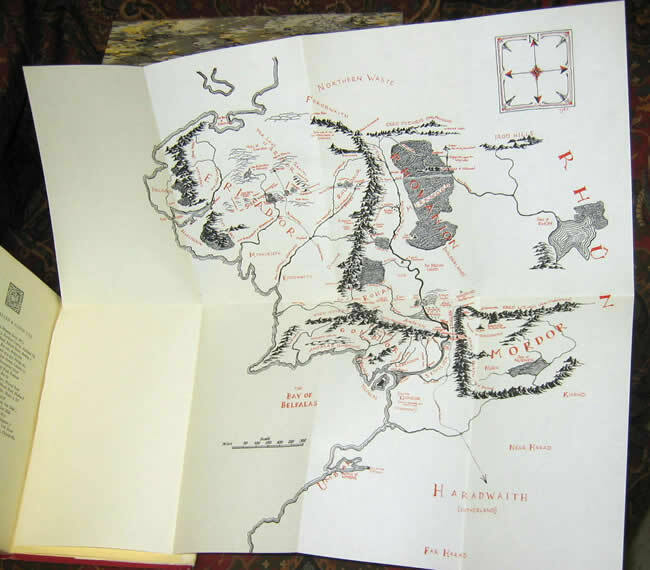 The son has also provided a letter detailing the meeting on a family holiday, where they met with Tolkien and he signed the books.